​" ...Like looking into a dream. " Ruth Cadioli is an art worker based in South Brisbane, making from her home studio. 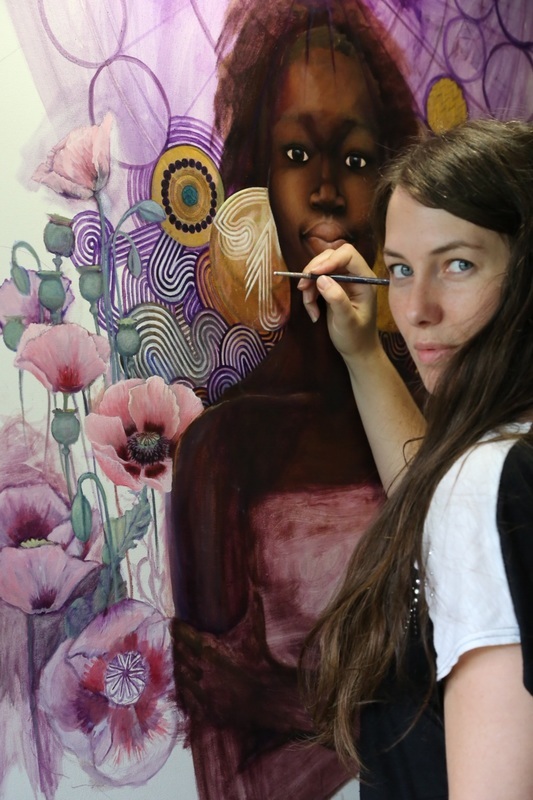 ​Inspiration for her paintings comes from the experiences of daily life and being. 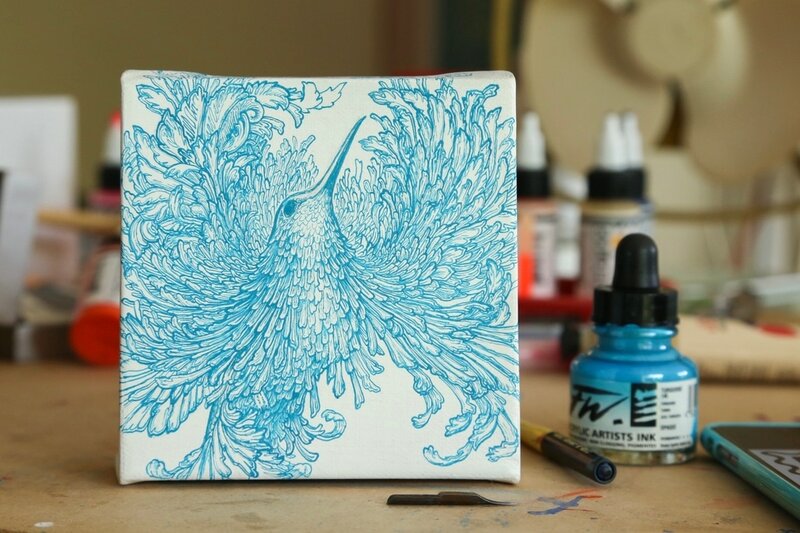 She makes and paints out of a compulsion to craft with her hands and make something beautiful to share with others. Using a whimsical surrealist style Ruth's paintings tell of her strong connection to nature, aesthetics, and people. "All of the energy and experiences I've been through gets put into my artistic expressions. If i'm commissioned to paint I draw upon my own connections and understandings of the commission subject so that the artistic result is always authentic and has that connection with the subject." "My art has a story that is tangled up in sentimentalism, nostalgia and personal experiences. The people I paint, I know at least a part of them and their stories, I've seen their beauty and been in awe of their qualities. When I'm commissioned to paint a portrait I've also seen the love that others feel towards the person who will be the subject. This all contributes to the final artistic result. It's important to connect with the subjects I'm painting so as to create something truly authentic and soulful." "The birds are a connection to family and are a nostalgic reminder that I come from a line of passionate bird watchers!" "Essentially I'm a paint by feel artist." 2015 7-16th January - Brisbane Powerhouse - 'Artists From MARS' Group Show curated by Alison Mooney.